Well this is clearly no longer the case, to judge by the recent literary output. Professor Alobid has just co-authored Endoscopic Approaches to the Paranasal Sinuses and Skull Base (Thieme, 2017) and now contributes to co-authorship of a more focused, highly sub-specialised textbook, packed with practical surgical tips. An international authorship is very much dominated, once more, by the Spanish and Italian contributions.I would have thought it difficult to write a 181-page book on septal perforation repair (especially as, in my hands, nothing worked, and the best plan was simply to make the hole far bigger! ), even more so if forced to do it endoscopically. The old cynical otologist is bound to argue that you must justify the cost of the kit, so out comes the 0-degree Hopkins rod, whether needed or not. No, perish the thought; this book is very well thought out, with many novel and practical messages, all supported by some very convincing videos of surgery. It obviously starts with basic sciences. The description of bony, endoscopic and radiological anatomy is followed by the physiology of nasal airflow and mucociliary transport. Chapter 3, on septal anatomy and especially its vascularity, is highly relevant to what then follows. Discussion of trauma and toxins as aetiological factors precedes a nicely updated chapter on associated systemic diseases. The emphasis is on reconstruction, I do accept, but I would have welcomed one illustration of the ‘lethal midline granuloma’, truly of course a lymphoma. The appearance is so characteristic that it is never forgotten, and instant recognition is vital. The chapter on pre-operative clinical evaluation is brief but well-illustrated, with a nice algorithm. 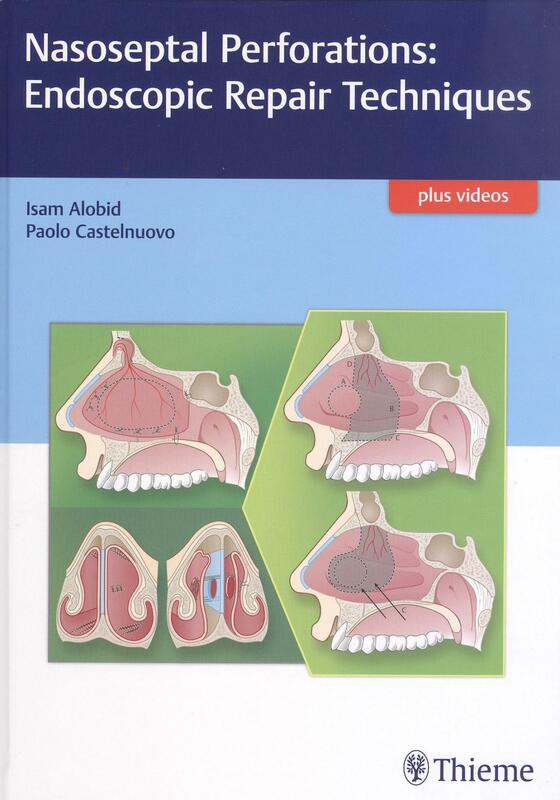 Sensibly, the chapters on conservative treatment and especially septal prostheses offer many good and practical clinical tips. Then, the real fun starts for the surgeon. Each flap merits a chapter, so we learn of free, middle turbinate, inferior turbinate, lateral nasal wall (that looks tricky), anterior ethmoidal artery septal, unilateral mucosal advancement and bilateral cross-over flaps. There are several more in practice. A clever addition is a chapter on quality of life, but a true godsend is the final chapter, which offers an algorithm to guide one through the seemingly baffling range of possible reconstructions. This is an inspiring book. It should appeal to anyone with a rhinology interest because it tackles an all too common problem, it does not take the surgeon into the territory of the skull base heroes and because the condition has proved a major challenge to previous generations of surgeons. What a clever idea for a title.